After nearly 10 years as Geneva Global’s owner and CEO, I will be stepping down as CEO and handing over the reins to a new leader. I’ve always held a firm belief that most CEOs should not stay in their post for longer than a decade or so. In that time, you tend to have had your best ideas and brought your particular creativity and energy to bear. After 10 years, you are in danger of getting so familiar with the organization that you don’t see the wood for the trees, or miss the next radical direction in which to take the company. I’ve stayed true to that conviction before, stepping down as the CEO of Tearfund after about a decade in that role, too. So some of my friends and colleagues weren’t surprised when I told them of my decision recently. I joined Geneva Global in 2006 as the head of international programs, overseeing all the company’s granting, which at that time spanned some 30 countries. The company soon began a transformation to turn itself into an independent and self-sustaining business from its origins as a largely subsidized, foundation-like entity. In September 2008, I bought Geneva Global from the founders. It happened to be the day after Lehman Brothers collapsed (clearly showing my knack for good timing), so to say I was slightly daunted at what I was about to embark upon is an understatement. 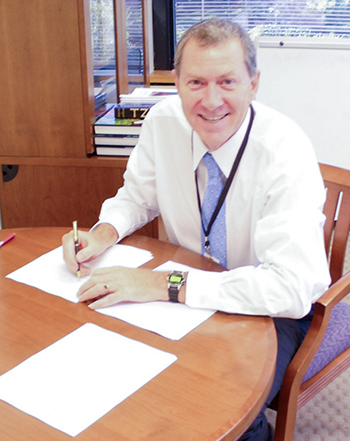 Signing the paperwork to officially buy Geneva Global in 2008. Those early years were tough. With an extremely lean staff, our focus was on delivering to our clients and surviving as a business. I spent a lot of time cramming my 6’ 2” frame into coach seats on transcontinental flights to check on client programs. I went to endless conferences, trying to drum up new business. And there were several times when I had to put on a confident and optimistic persona for my team when inside I had my own doubts. But while it was exhausting and demanding, it was also exhilarating and rewarding to run my own company and lead a group of fearless and dedicated teammates around the world. We diversified our client base. After starting with our founder’s Foundation as our main client, we grew to having a diverse client base all over the world. We are privileged to work with amazing organizations—from some of the largest foundations in the world, to innovative nonprofits and companies, to visionary philanthropists and their families. We expanded our service offering. 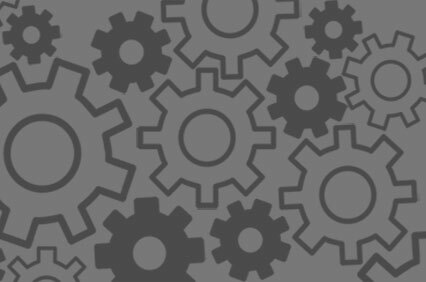 We’ve built a full suite of services to support philanthropists at every stage of their journey, and we’ve applied our original expertise in serving ultra-high-net-worth philanthropists to help other organizations understand how to better attract and steward donors, build and strengthen their program management capabilities, and much more. We championed the little guy. We sought out and worked with local African or Asian organizations and proved that by clustering them together in strategic programs you can get both scale and sustainability. We incubated collaborations we’re immensely proud of. In partnership with the Legatum Foundation, we helped build the END Fund, Freedom Fund, and Luminos Fund, each of which are having a remarkable impact in their sector and on the world. We rebranded and relocated. We undertook a new branding and messaging initiative that gave us a new personality, distinct from the one we had acquired from our founders. And after a series of office moves, we finally bought and designed our own office space to reflect the flexible and collaborative manner in which we work. We became a Certified B Corporation. In doing so, we joined a movement of other companies around the world striving to use business as a force for good. I published a book! A longtime goal of mine, I finally made the time to capture my own personal journey and the essence of what makes for truly effective philanthropy. 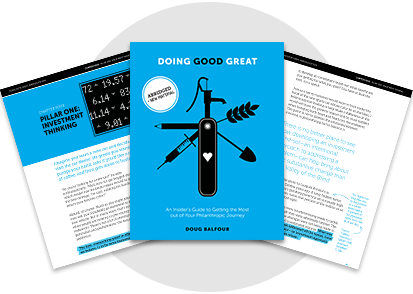 I’ve been told by people other than my wife that Doing Good Great is actually a fun read! We’ve helped promote smart thinking about the subject of systems change. We bring a unique perspective to transforming systems and helping to drive real “performance philanthropy” for our clients. We’ve positively impacted the lives of millions. By far the most important measure of our success is the lives that we’ve helped improve. As of the end of last year, we had directly touched the lives of over 100 million people with $200 million granted and indirectly been involved in a further $1.5 billion of granting. That is pretty impressive for a company of 60 or so people! The team, pictured in 2016, has grown significantly since its early days. I am a builder and creator and have loved turning Geneva Global into what it is today. But I now feel it’s time to seek out a new CEO who can bring fresh eyes, original ideas, a new perspective, and is additive to what we already know how to do. Someone who will build on the great foundation we have built together, is excited by our vision, respects our values, and is able to take Geneva Global to the next level. I am as committed as ever to fulfilling the ongoing vision of Geneva Global being the most innovative and effective philanthropic consultants in the world. Geneva Global will continue to be a force for both transforming millions of peoples’ lives, and bringing innovation and improvements to the philanthropic sector. To that end, I will stay on as Geneva Global’s non-executive chairman and in that role will continue to oversee the mission, vision and values of the organization, while the new CEO runs the company. With a strong leadership team in place and a talented, diverse, and hardworking staff, I have no doubt that Geneva Global is about to enter an exciting new decade of growth. If you are interested in taking over my office or know others that would, please visit our Join the Team page to see the job description.